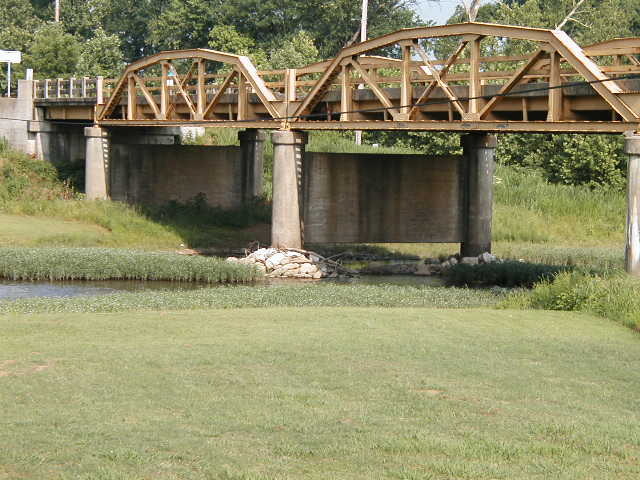 US 64 Big Sallisaw Creek, Sequoyah Co. 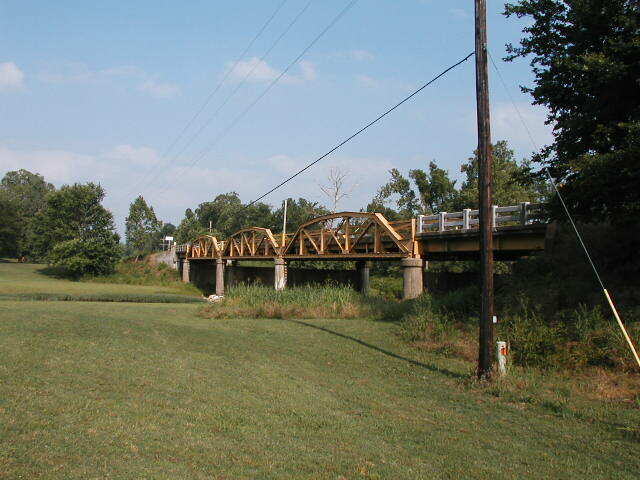 This 3-span truss bridge actually contains five spans, a stringer approach span stands at each end. 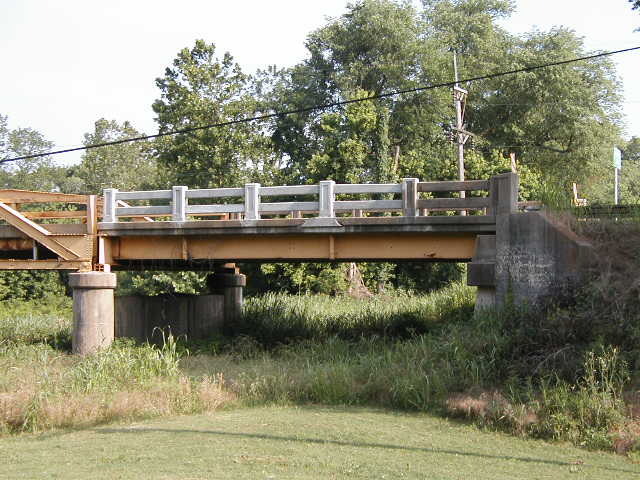 This bridge was built in 1934, replacing a narrow, poured concrete deck girder bridge which still stands nearby. Below, a view through the bridge looking east. 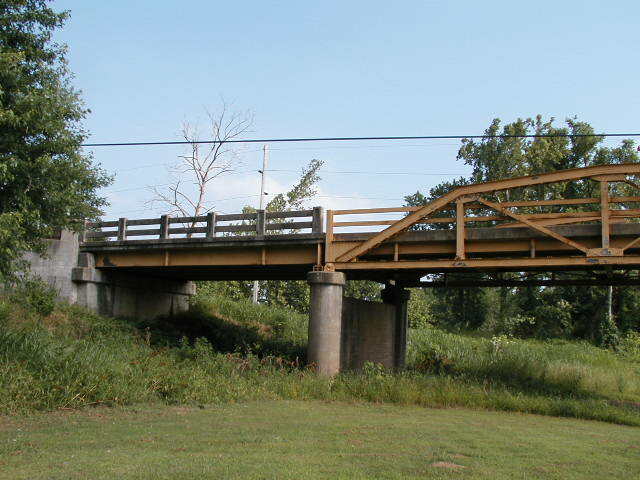 Each of the three pony trusses is 100 feet in length, with 50 foot approaches at the east and west ends. Below, a view along side the bridge. The state appears to be taking good care of this bridge, as the next photo will better explain. Above, the east approach span. 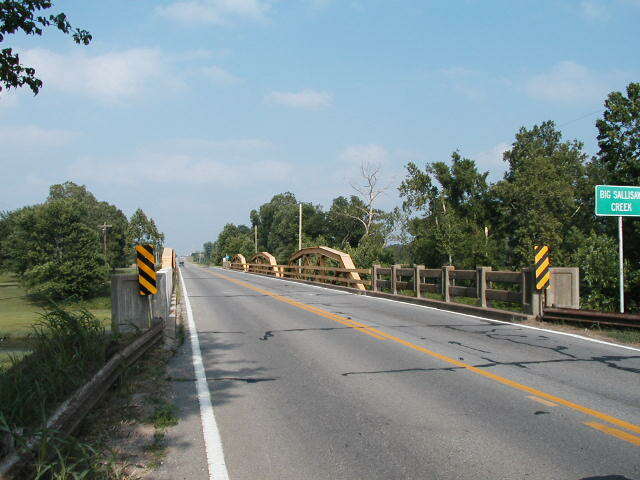 Note that the concrete 'fence' style guards have been repaired and even reconstructed, rather than replaced with the drab institutional looking monolithic guards as has happened to the approaches of so many other old highway bridges shown here. Although its not new, even the paint on this bridge looks better than most. below, the west approach span. It is still all original and in good shape. below, a close view of the center span. 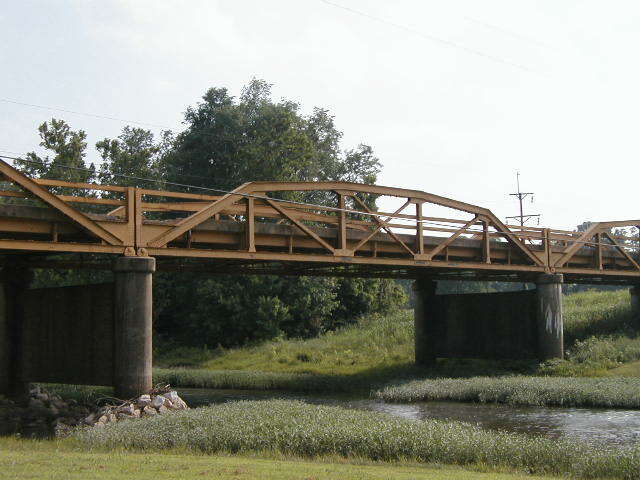 Below, another view of the spans. 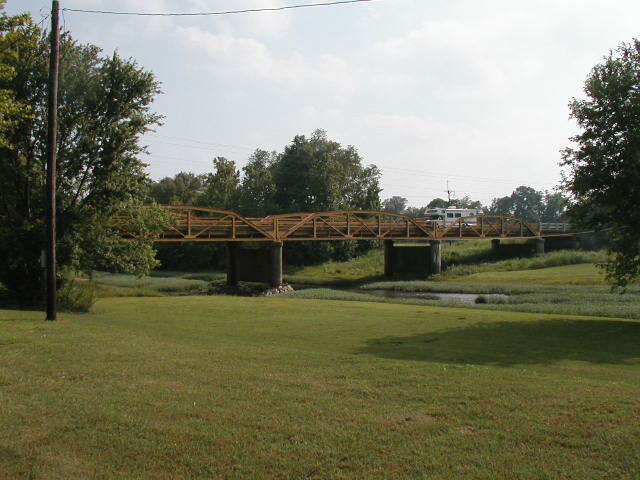 Because Sallisaw city park is next door, access to the sides of the bridge was very easy and obstruction free. Below, a view from across the park.